John E. Madigan, Distinguished Professor of equine medicine in the Department of Medicine and Epidemiology, School of Veterinary Medicine, University of California, Davis, is internationally recognized for his contributions to equine medicine, neonatal care, and animal welfare and rescue. Dr. Madigan earned his D.V.M. degree at UC Davis in 1975, and he is a diplomate of the American College of Veterinary Internal Medicine. He was a veterinarian in private practice until joining the UC Davis faculty in 1983 in the roles of assistant professor, clinician in equine medicine and head of the equine neonatal intensive care program. Since 1994 he has served as Professor of Medicine and Epidemiology, Senior Clinician in Equine Medicine and Critical Care at the William R. Pritchard Veterinary Medical Teaching Hospital (VMTH), Head of the Veterinary Emergency Response Team, Coordinator and Head of the Equine Helicopter Rescue Program, and past Chief of the Equine Medicine Service of the VMTH. He has published more than 330 scientific papers and proceedings, carried out pioneering research in equine neonatology, and made discoveries in the pathogenesis of multiple equine infectious agents including Anaplasma phagocytophilum, Neorickettsia risticii, Borrelia burgdorferi, and novel prevention methods for Rhodococcus equi. He is faculty advisor and largely responsible for development of the Lucy Whittier Molecular and Diagnostic Core Facility, the first such veterinary laboratory in the United States to provide molecular biology services for the detection of infectious agents and gene expression, and to provide expertise in the analysis of nucleic acids to basic scientists, clinical researchers and practicing veterinarians. Madigan, in addition to serving as research scientist, mentor and educator, has made important personal and professional contributions to animal welfare. He was instrumental in development of the UC Davis Anderson Sling and the UC Davis Large Animal Lift, state-of-the-art equipment for both emergency medicine and large animal rescue. He has actively engaged in several rescue operations for animals in natural disasters such as floods and fires, and been the driving force behind the UC Davis Veterinary Emergency Response Team. He also founded and serves as Director of the International Animal Welfare Training Institute. Madigan received the Pfizer Award for Research Excellence in 1996, and in 2006 received the Animal Welfare Award from the American Veterinary Medical Association, the Distinguished Service Award from the American Association of Equine Practitioners, the Legend of Veterinary Academic Medicine Award from Kansas State University, the American Red Cross Hero Award and the United States Congressional Achievement Recognition Award. Dr. Madigan's interest in equine headshaking is part of his focus on equine clinical neurology. It was a concerned owner with a horse showing unusual clinical signs, which he determined to be a type of headshaking disorder, which first stimulated his interest in this disease. Since then, several research studies and hundreds of consultations with owners of horses worldwide affected by headshaking syndrome have provided a research goal: to determine the cause of the condition and a simple effective treatment. 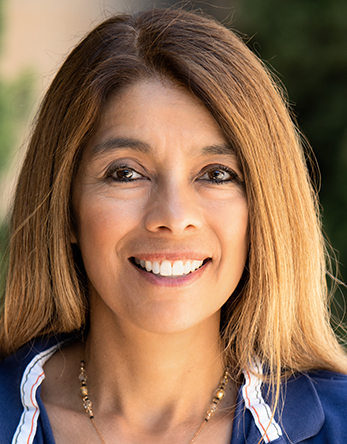 Dr. Monica Aleman is currently a professor of equine medicine in the Department of Medicine and Epidemiology, School of Veterinary Medicine, University of California, Davis, is Chief of the Equine Medicine Service of the VMTH, and is Director of the Nueromuscular Diseases Laboratory at UC Davis. Aleman obtained her veterinary degree at the University UNAM-Mexico in 1991. She completed a large animal internal medicine (equine emphasis) residency at UC Davis from 1996-1999 and achieved board certification with the American College of Veterinary Internal Medicine in 1999. She then completed a PhD in equine neuromuscular disorders in 2004 at UC Davis under Dr. Richard LeCouteur's mentorship, where they discovered a genetic mutation that causes malignant hyperthermia in horses. Dr. Aleman was a member of the equine internal medicine service. She achieved board certification with the American College of Veterinary Internal Medicine in Neurology for Veterinary Neurology and Neurosurgery in 2012. Dr. Aleman has a passion for horses, the ocean, kayaking, and art, as well as any activity that has to do with water or a good meal!